There comes a point in time when we have to recommend someone for a job placement or college enrollment. It might be our colleague, a former employee or student, or even a relative. Recommending someone will give their credibility a huge boost, plus it shapes a good impression of them. 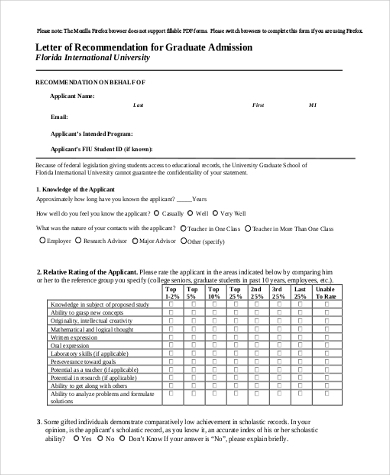 To do this, a professionally crafted recommendation letter is what you need. 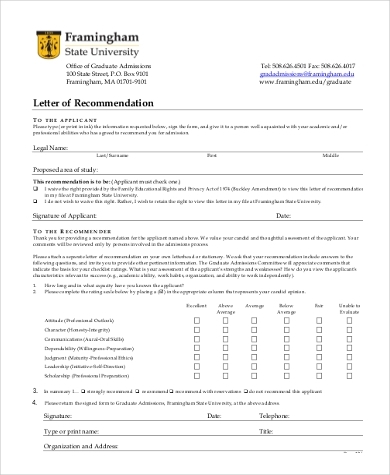 Does creating a high quality standard recommendation letter give you a dose of stress? You may check these Sample Letters with their step-by-step guides and you will certainly be well on your way to crafting one yourself. These samples have been created for your convenience to save you on precious time. 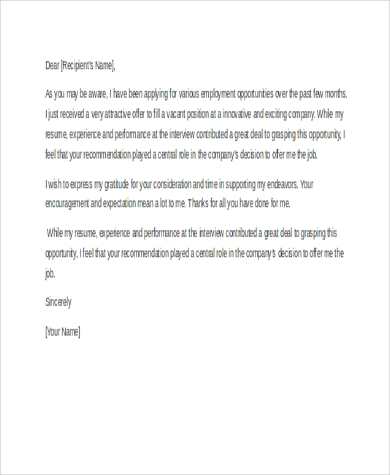 Whether you are recommending for a colleague, a college, a promotion at your workplace, or simply thanking someone who recommended you for your career growth, recommendation letters come in different types to suit different needs. 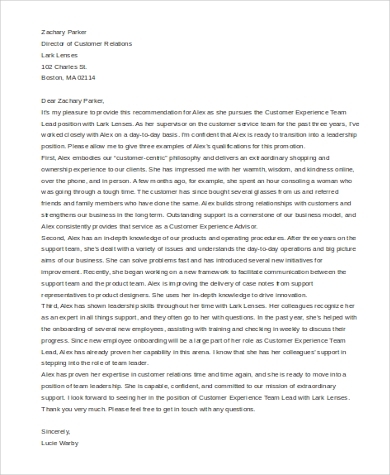 Take for example these Personal Letter of Recommendation Samples. 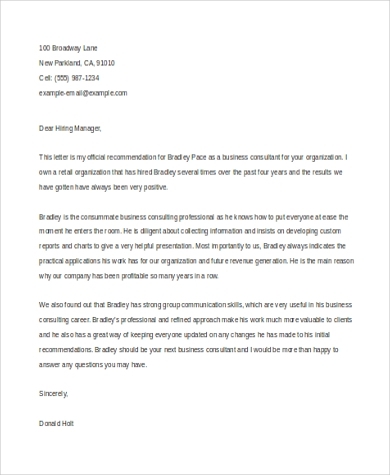 Basically this letter is written by someone who recommends another outside of work. He could be your teammate, close friend, or your fellow church volunteer who will write a character reference about you. 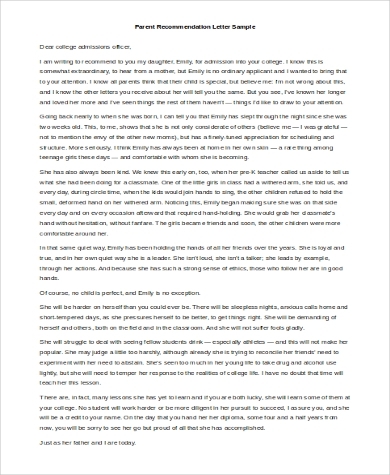 Have a look at this sample letter to help guide you as you write. Having a professionally mannered, well-crafted letter will leave you with no complications and saves you time. It should sound authoritative and credible. Have this simple template to accompany you whenever you are in need of one. 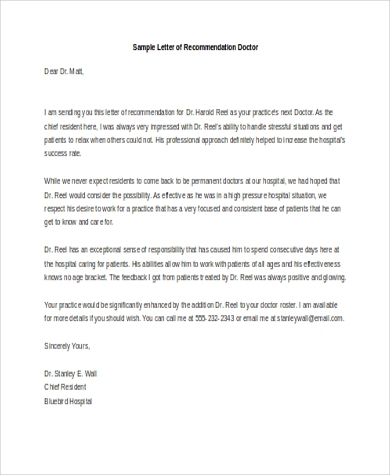 All sample letter formats come in MS DOC and PDF formats for easy and quick download, giving you high-quality and professionally formatted letters of recommendation. 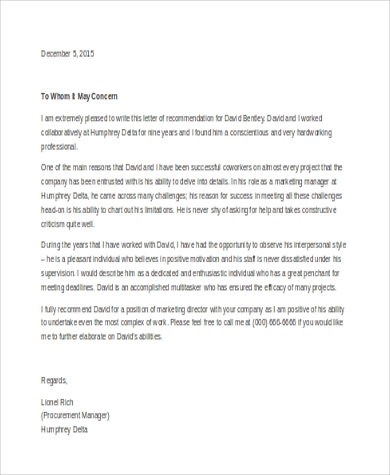 A good recommendation letter guarantees someone that you refer will get the job offer. The simplified phrases here will help you start your point.